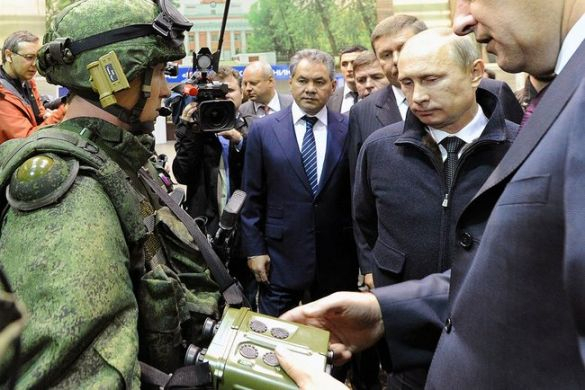 President Vladimir Putin has ordered the Defense Ministry to re-equip the Russian army with more advanced precision weapons to compete with potential foreign foes. 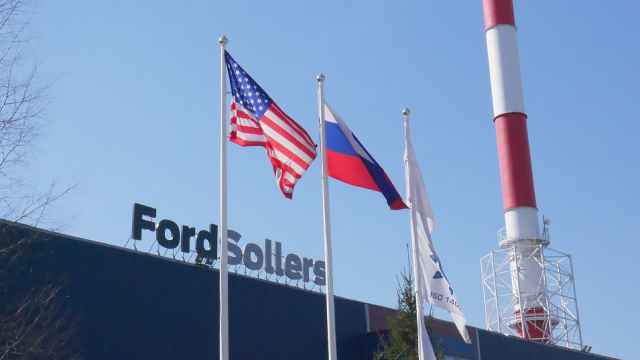 Speaking during a visit to Izhevsk, home to the Kalashnikov Corporation, which produces the legenadary AK-47 assault rifle as well as 95 percent of all infantry weapons in Russia, Putin said he expected the new arms "to have both the required quality, and acceptable, economically justified prices." 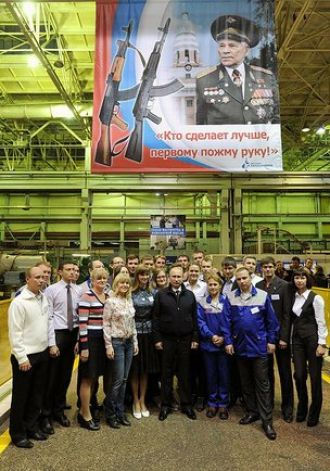 "Our weapons of today and tomorrow must be better than those of our potential enemy," Putin told workers of the Kalashnikov Corporation on Wednesday, according to the Kremlin.ru website. "And what does that mean? [That means] firing range and precision." He did not specify who the potential enemy might be, but noted that land forces provide "support for strategic directions, participate in neutralizing local armed conflicts, as well as in peacekeeping operations." Calling those troops a "key" branch of the military, Putin noted that re-arming them was a priority in Russia's defense spending. The government has allocated more than 3 trillion rubles ($94.5 billion) for refitting Russia's land forces with modern weapons, Putin noted. That's nearly 16 percent of the total budget of the army re-equipment program, which is to run through the next dozen of years. "To solve [their] tasks, land forces must possess a high fighting potential, mobility, coordination and, of course, be well-equipped with modern arsenals," Putin told a meeting in Izhevsk with government officials, including Deputy Prime Minister Dmitry Rogozin and Defense Minister Sergei Shoigu. 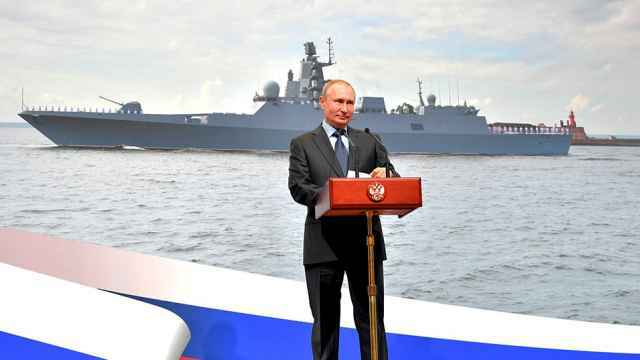 Among the top priorities of the army re-equipment program, expected to be completed by 2025, Putin named development of high-precision weapons, and reforming those branches of the arms industry that manufacture infantry weapons for the military and other security and defense agencies. He also called for expanding military training camps and firing ranges to prepare troops for handling modern weapons, which the army is expected to begin receiving in substantial quantities starting next year, and to attract talented engineers to the defense industry. 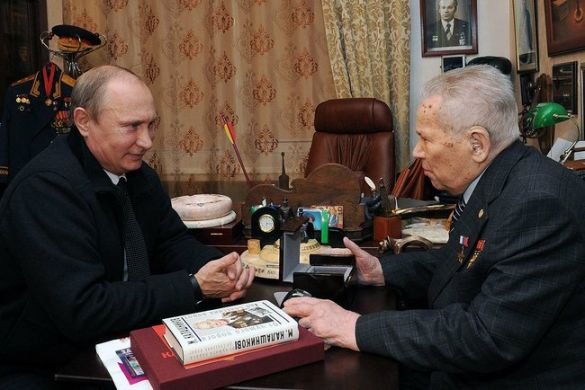 In Izhevsk, about 1,000 kilometers east of Moscow, Putin also visited the man in whose honor the Kalashnikov Corporation is named, the creator of the AK-47 assault rifle Mikhail Kalashnikov, to congratulate him on Russia's Arms Makers Day, Sept. 19. The AK-47, which stands for "Avtomat Kalashnikova," or Kalashnikov's automatic, is the world's most popular firearm with an estimated 100 million spread worldwide. Its 93-year-old inventor had worked as chief designer at an Izhevsk military plant that produces a modernized version of the rifle at least into his 80s. This year, he underwent a series of hospitalizations — first in a cardiology clinic in Izhevsk and later at a military hospital in Moscow, from which he was discharged a month ago to recuperate at a sanitarium. Putin met with him in Izhevsk on Wednesday, and he appeared to be in good health.